I don’t use everything all natural all the time, but I know there are toxins in everything from shampoo to perfume to make up. And for that reason, I do try to use real, natural products as often as possible. I clean our counters & wash our fruits & veggies with vinegar/water mixture, for example. These are some of my current ‘around the house’ natural products that can double as beauty products. Vitamin E: I follow up the Grape seed cleanse with vitamin E under my eyes. Never too young to start taking care of the wrinkles, right? I did a LOT of damage to my skin when I was younger. Praying I don’t get skin cancer in the future & trying to reverse damage by taking in LOTS of antioxidants, wearing sunscreen daily, & avoiding the sun when possible. Apple cider vinegar: Jon & I drink 1-2 tbsp in diluted water daily because it has so many benefits, BUT it can also be used as an awesome facial astringent. I use it as a hair clarifier too if I start to notice some build-up from hair products. 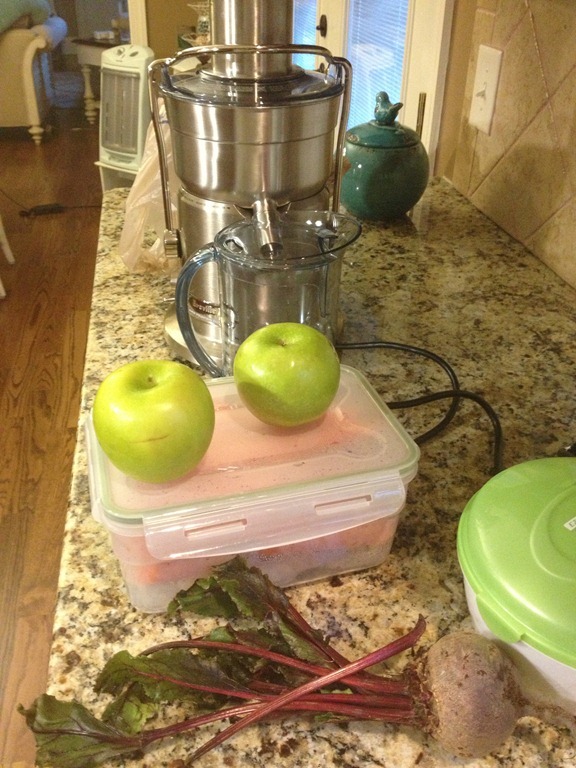 Juicing: This is hands down my #1 “beauty” trick. Every single time I start juicing, I get comments for the next few days about my glowing complexion. Never fails! I don’t do it all the time because it’s such a pain to clean up, but I shoot for at least a few times a week. One of my favorites is 1 cucumber, a few stalks of celery, 1 orange, 1 lemon, 1 lime, & about an inch of ginger root. Baking soda: I have one friend that cleans her wedding ring with baking soda, but I use a little bit on a toothbrush every now and again to whiten my teeth. Sugar in the Raw/Olive Oil: This is an AWESOME exfoliator! Just be careful…it gets slick in the shower. Sleep: We love Sleep Works, but when I can’t have that because I’m pregnant or nursing (AKA the last 18 months), I drink a small glass of tart cherry juice. Jon sticks with the Sleep Works. Can’t WAIT to have that again! Only reason I can’t now is because it has lots of natural herbs that haven't’ been tested for obvious reasons. I try to sleep on my back because I’ve noticed one side of my face is aging faster from that skin always being pulled as I sleep on that side. Any other natural product or tips you love?? I swear by coconut oil! Try mixing your apple vinegar with a little sugar free pineapple juice that's what I usually do. How do you use the sugar/oil? What ratio? How do you use the sugar/oil? What is the ratio? Just picked up some Jason body lotion, Jason Natural eye lift, and Toms toothpaste. :) Yay! I use a mixture of honey and bro.won sugar for natural skin exfoliant. Also honey has natural antibacterial properties to use when you have a zit!